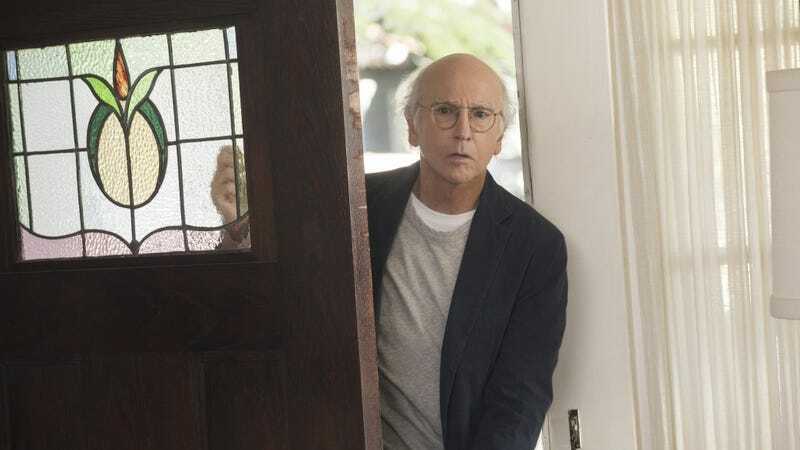 After returning to the pop culture criticism beat last week with her scathing pan of American Vandal, Mom has much kinder things to say about the long-awaited season premiere of Larry David’s Curb Your Enthusiasm. Mom and I dissect David’s calculus for those awkward “Should I hold the door open?” moments. Plus, we try to explain, with only moderate success, why David is able to explore touchy social subjects and get away with it. In this episode, we also share Mom’s observations from her trip to the New England Aquarium and make fun of newspaper advice columnist Miss Manners for being so chilly that she, by Mom’s estimation, poops ice cubes. Give it a listen, and don’t forget to watch the A.V. Club TV show every Thursday night on Fusion—this week featuring a cameo appearance by Mom!